This book provides a much needed up-to-date introduction to the topic of narrative inquiry – which has seen a growing interest in recent years. Narrative inquiry provides researchers with a framework through which they can investigate the ways humans experience the world depicted through their stories. The book looks at how this method can effectively be applied as a means of research in a range of contexts, including flexible, open and distance or workplace learning. 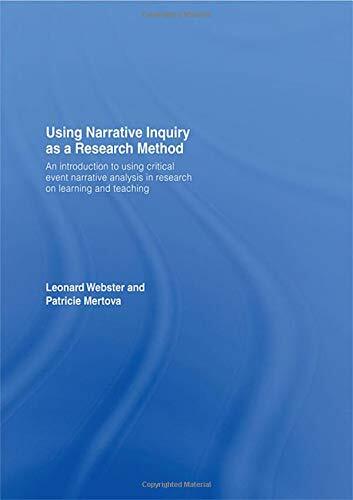 It demonstrates the value and utility of employing narrative as a research tool in a range of teaching and learning settings and includes chapters on background, methodology and case studies to illustrate the application of narrative inquiry as a research method.